Attending the session on the establishment of a new regional freight transport forum for the Limerick-Shannon Gateway; Lisa Ruttle, Limerick City & County Council; Patrick Edmond, Shannon Group plc; Martin Morrissey, Shannon Foynes Port Company; Glenn Carr, Irish Rail; Eoin Gavin, Irish Road Haulage Association; Orlaith Borthwick, Limerick Chamber and Helen Downes, Shannon Chamber. 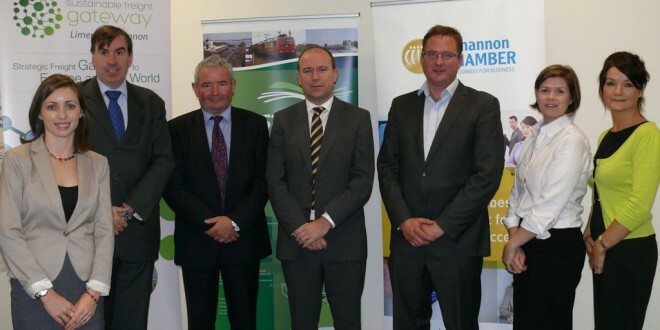 Transport and business in the Mid-West are joining forces in an effort to establish the Limerick-Shannon Gateway as a strategic freight logistics hub, with direct connections to some of the world’s global logistics hubs. The new regional freight transport forum is the result of the EU co-funded Weastﬂows INTERREG IVB EU Project, which aims to improve and enhance freight logistics in North West Europe, as well as encourage a move from an overreliance on road haulage to the more sustainable modes of rail, short-sea shipping and river transportation. Limerick City and County Council, one of the 22 partners in the EU project, and Limerick and Shannon Chambers of Commerce hosted two sessions in The Strand Hotel in Limerick and Westpark, Shannon on the issue. 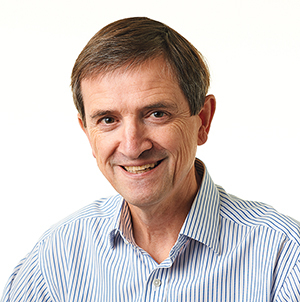 The events saw freight and logistics providers, four infrastructure providers, public sector agencies and export generators sign up to the establishment of a new regional freight forum. The forum, the secretariat of which will be jointly provided by Limerick Chamber of Commerce and Shannon Chamber of Commerce, is the first of its kind to be established in Ireland and is expected to be in place before the end of 2014. “Besides promoting the establishment of the Limerick-Shannon Gateway as a Sustainable Gateway for freight transport, the new forum will also seek to implement efficiencies within the region’s transport sector, explained Liam Conneally, senior planner, Limerick City and County Council. President of the Irish Road Haulage Association, Eoin Gavin, said, “The region is a natural freight gateway and a prime location between the Americas and Europe, linking by sea air and road. The future of sustainable transport is rests with all the modes collaborating together to move goods from A-to-B as efficiently as possible. “The Limerick Shannon Gateway will play a major part in future global trade. The next move is to bring all industry business and transporters and together to further develop this sustainable gateway,” added Mr.Gavin.